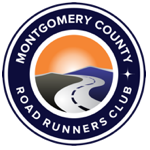 The Montgomery County Road Runners Club, in partnership with the City of Gaithersburg, Maryland, invites runners and walkers to participate in a 5K run/walk through the City of Gaithersburg’s “Winter Lights Festival” in Seneca Creek State Park. Winter Lights features more than 380 illuminated vignettes and 65 animated displays. Please see the race website for full details. There will be a 900 participant (runners + walkers) maximum due to available parking at the park. The race has sold out within 2 days of opening for the past couple years, DO NOT delay in registering!! Registration will open on October 2!